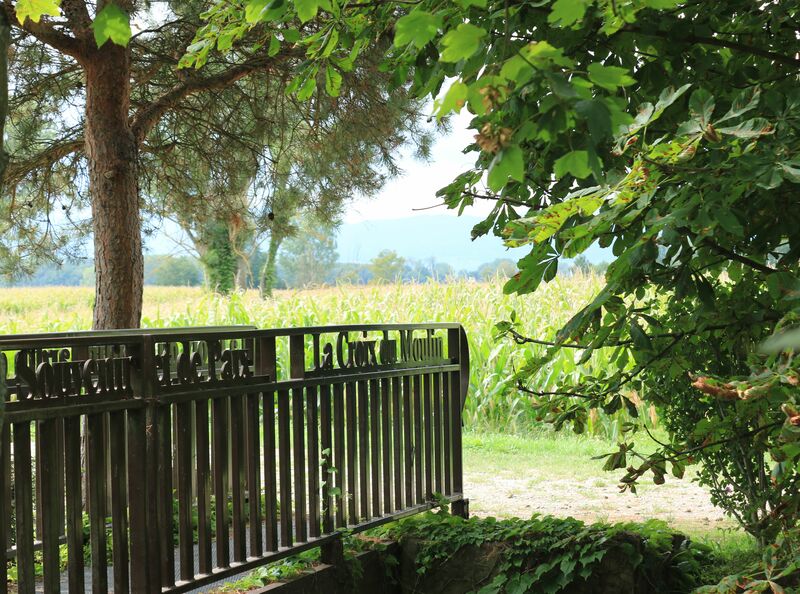 Legend says that in 1603, a heifer discovered a mineral water source in Soultzbach les Bains, in the vallée de Munster! Visitors had been bathing at Soultzbach les Bains for four hundred years before Alsace became part of the new German Empire. In fact, they were doing so before the fortuitous wanderings of the local heifer. Jacques de Hattstatt, seigneur, established a Badehus in the fifteenth century and after the Hattstatt line died out in 1585, the village came into the ownership of the barons Schauenburg Herrlisheim, who set about installing the means of exploiting the mineral water source. There are records of a possibly seventeenth century hall with a basin for the collection of water, at least one room for people seeking a cure, and a dwelling; there are records showing that after the Schauenbergs sold the premises to a M Bobenrieth in 1815, there is another wing. M Bobenrieth saw the commercial potential for selling health-giving waters and he collected the spring water in pitchers for sale. At the same time, the popularity of the source was attracting large numbers of tourists into the village, where they lodged, until disaster struck: a large fire, which reduced the accommodation available. By this time, a Swiss industrialist called M de Gonzenbach had bought the premises. He halted the activity at the source and reconsidered. He decided that the source was to become a thermal hotel, with an extra floor added to the building, a new wing built for entertainment of the guests and the garden transformed into an agreeable pleasure park. By 1854, there were up to 200 ‘patients’ taking the waters and enjoying the delights of a smart hotel in beautiful mountainous surroundings with invigorating fresh air and plenty of opportunities for gentle exercise should they be so minded. Alongside the hotel business, M de Gonzenbach’s commercial acumen prompted him to develop the external sales of water. It was sold under the name Source Gonzenbach and by 1863, sales reached 49171 bottles and jugs. The business was sold on by M de Gonzenbach’s son-in-law but the new owner suffered financial ruin after the Great War and he ceded the source to the water company Carola of Ribeauvillé. (Carola still exists and is a prominent supplier of bottled water in the region.) Over the next few years, Carola mechanised the water collection and built bottling units, but the cramped location restricted development. Perrier-Nestlé bought the source and ceased operations there in 1993. From the meanderings of a village cow to a multinational company in four centuries! The premises are now in private ownership and the industrial units have been removed. My photo shows two wings and the main building forming a courtyard. According to Inventaire général du patrimoine culturel* the ground floor and first floor correspond with the original building. The right wing was the casino. We particularly noticed the columns with Doric capitals and the entablature with frieze with gryphons. The south wing used to contain the casino and looking at the elegant arched windows, it doesn’t take much imagination to people the room with elegant fashions and animated conversations. I am very grateful to the current owner who allowed us to wander around and take photos after we chanced upon this wonderful building in a quiet part of Soultzbach. I’m sure the disused hotel Au Relais de la Source across the road from the thermal hotel has its own stories, too. Categories: Buildings, Life and leisure | Tags: Alsace, Elsass ., Soultzbach les Bains, Sulzbach, Vosges | Permalink. 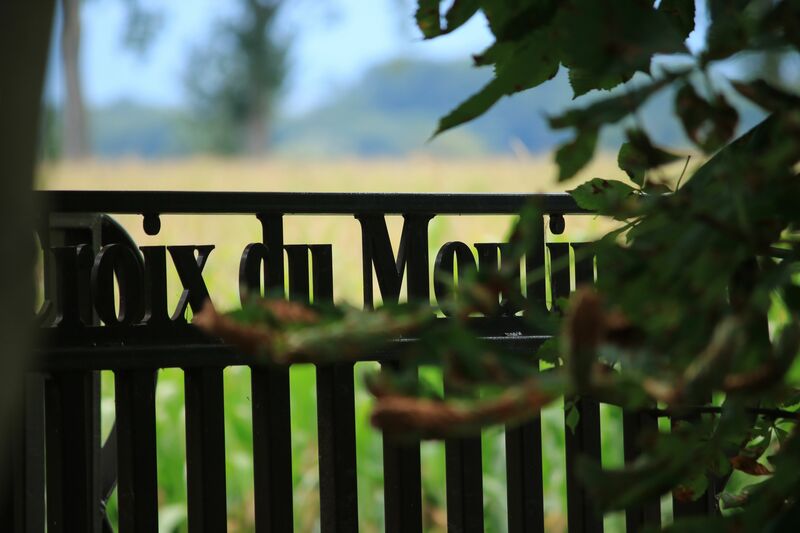 Three armies, one battle, one cross: le Croix du Moulin, Jebsheim. 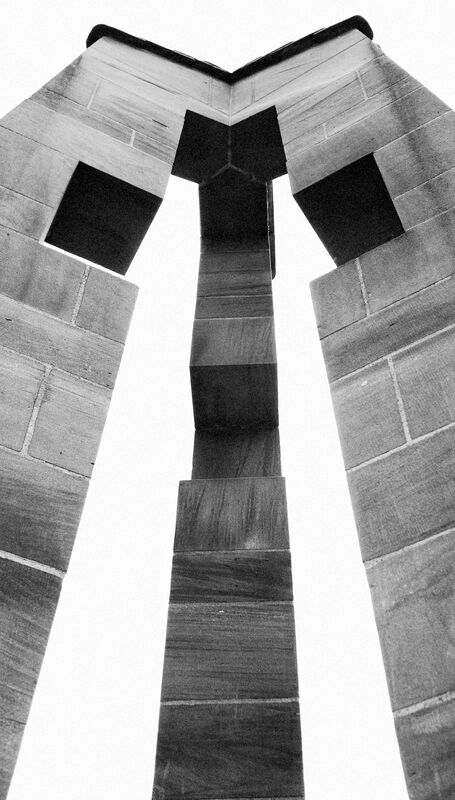 The memorial was built on the site of the old mill at Jebsheim, Alsace. The mill and the village were destroyed during the battle which raged from 02.30h on 25th January to 19.30h on 30th January, 1945, when the Americans pushed the German troops back towards the Rhine. 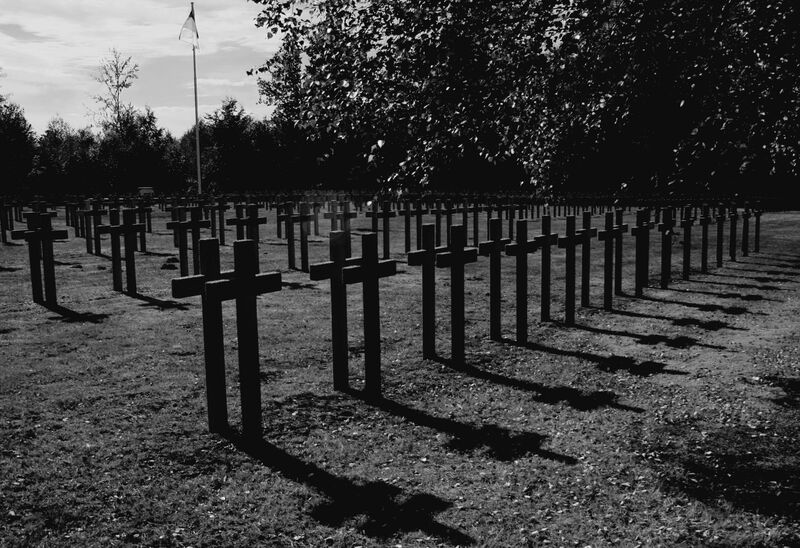 In that time, in inhumane and bitter winter conditions, 1034 men were killed and more 2000 wounded. That is one death every fifteen minutes. 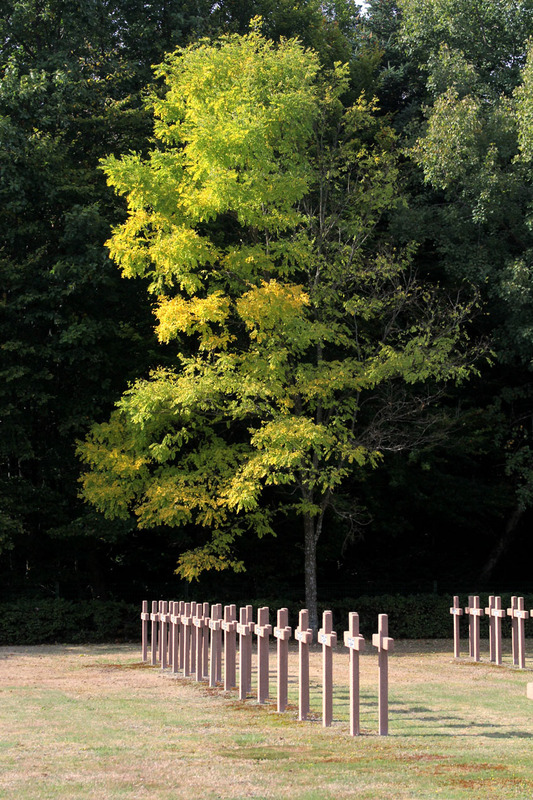 As time has passed, there has been a spirit of reconciliation between the former adversaries and the memorial recognises the dead of all three armies: French, American and German. The three facets of the cross represent the three nations and the elegant, peaceful inscription is written in three languages. The armies and units who fought here are listed on bronze plaques, but these are only brought out for official ceremonies, as the first versions were stolen. 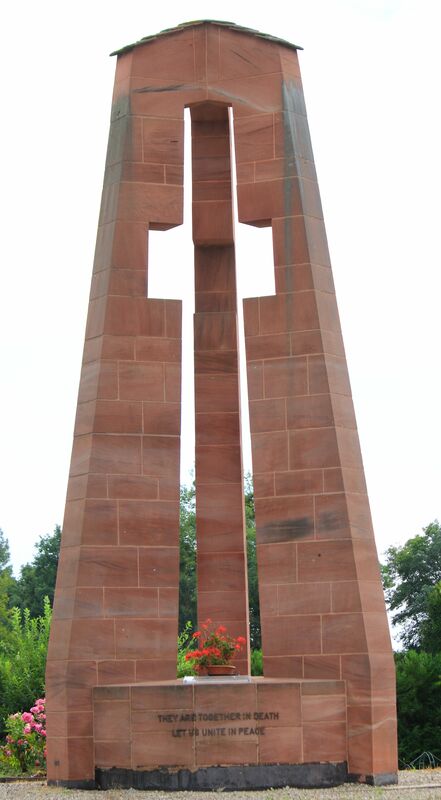 The monument was the concept of an American and two French men who fought at Jebsheim and it was inaugurated in June 1988. One aspiration is to bring the message of peace to young people and future generations. There is also a wall in memory of Alsaciens and Mosellans who were victims of war in violation of their international rights: those interned, those deported, those who were incorporated into the enemy army, those who were prisoners of war, those who were injured or permanently disabled, the fighters in the Resistance in Alsace and in the Free French Army. 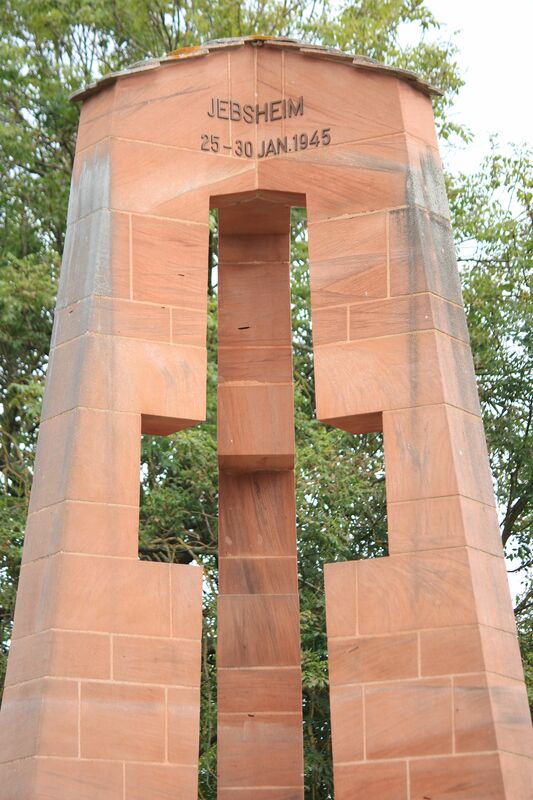 It recalls people’s long journey of suffering and sacrifices beginning in 1940 and leading to their tragic destiny. This was the battleground in January 1945. 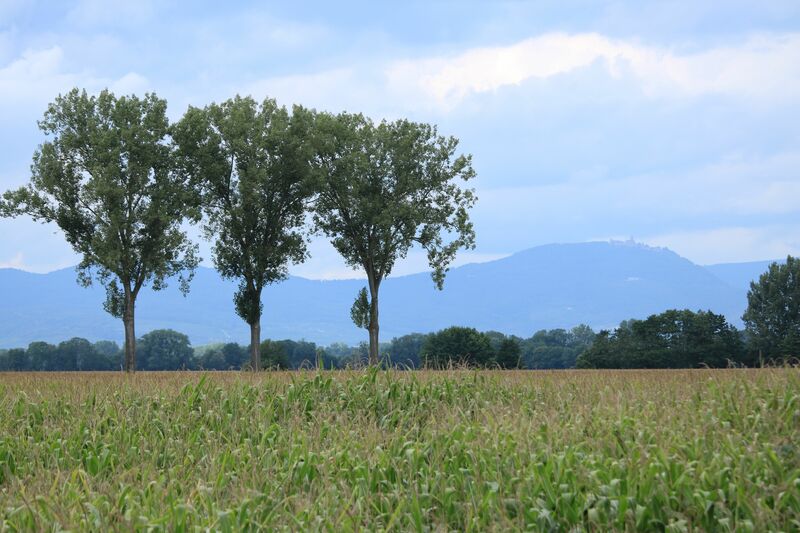 In the top picture below, I am standing facing the Vosges and the Rhine is behind me. You can just see a road sign at the right of the picture: this was roughly the position of the front line at the beginning of the battle, and where I am standing in the second picture (I’m by the millrace) is the point of progress made by the end. This is a very peaceful location, disturbed only by the occasional passing cyclist or tractor and one can sit on the old stones by the former millrace, thinking of the family who made their living here and the dreadful destruction which was the cost of liberation. 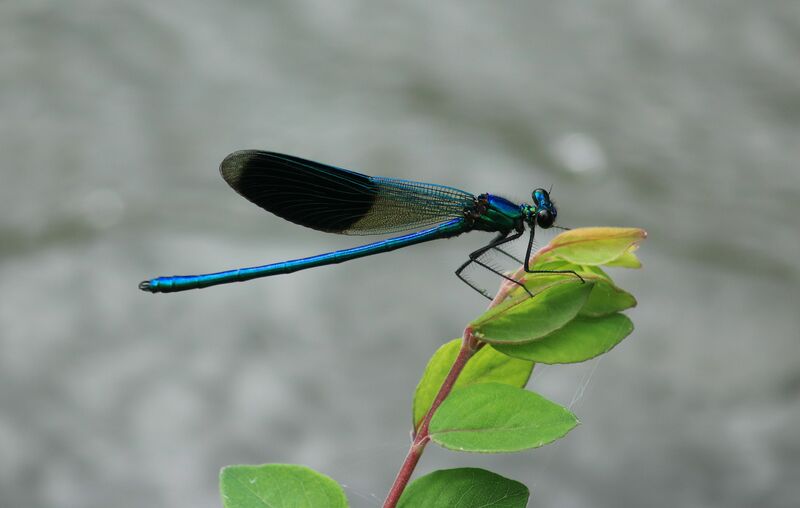 It seemed strangely beautiful and appropriate that the mill site, now a place for peace and reflection, is now colonised by these stunning, iridescent damselflies. Categories: War: occasional views of the 1939-1945 World War | Tags: Alsace, Croix du Moulin, Elsass ., Jebsheim, Memorials, Second World War | Permalink. 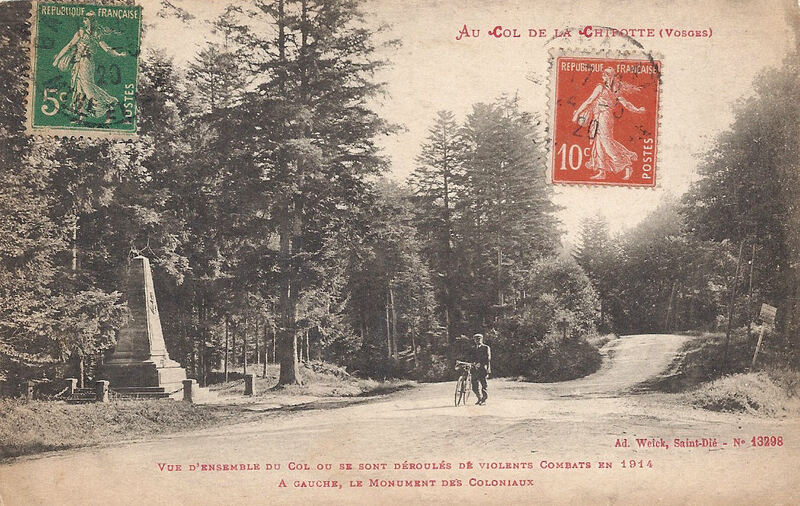 Le Col de la Chipotte (or Chipote) is in the west of the Vosges mountains on the principal route between the towns of Rambervillers and Raon-l’Étape. From Raon-l’Étape and St-Dié to its south east there are relatively easy ways through the mountains. Therefore, possession of the col was strategically vital for both the Germans and the French. Winning the Col was part of Joffre’s two-pronged strategy for reclaiming French territory lost in 1871: Alsace and Lorraine. Before: a simple Vosges col at 453 metres. The territory is dense forest, including steep slopes and ravines. At that stage of the war, few men on either side had any experience in or training for that sort of terrain. It was almost impossible effectively to use artillery and visibility was obscured by trees. There are some small villages to the west of the col, though these were ruined by bombardment early on. The Germans needed to be able to move their troops efficiently to other theatres of operations and by late August were in a strong position to organise their defensive strategy to progress west towards the Meurthe. On 22nd August Moltke sent the order to continue as far south as Épinal, pushing the French south and breaking their stronghold at Épinal. By the evening of the 24th August, it was considered unlikely that the French would disrupt the manoeuvres and the Germans pressed through to hold a line in the region of the villages of Étival-Moyenmoutier, Baccarat and St-Benoit in the low western foothills of the Vosges. 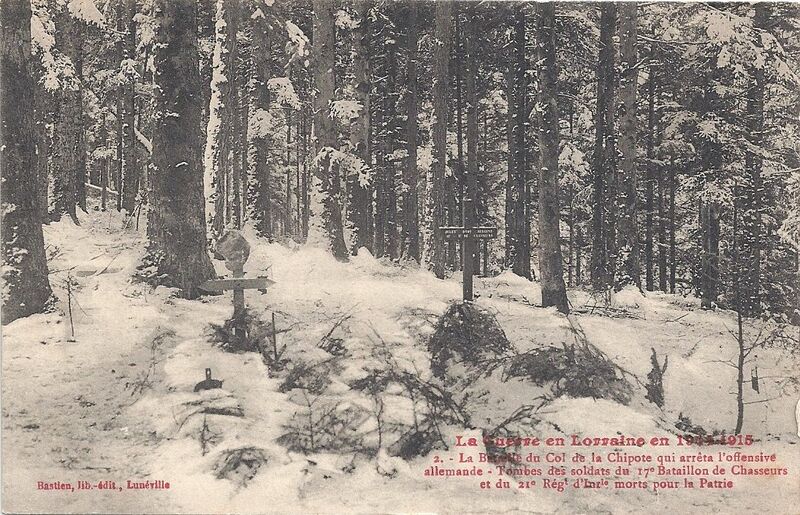 Von Heeringen chose not to push through as far as Rambervillers and stopped at the Col de la Chipotte. On the 25th August, the French fought back but were repelled. Some French units, separated by forests, dared not venture any further but others counter-attacked, successfully halting or even pushing back the German advance. By the evening, the Germans were ordered to suspend their forward thrust. The next day, however, they secured the forests of Sainte-Barbe. The French attacked again, somewhat overrating successes elsewhere in the region and confidently expecting their opponents to collapse. What happened during the next day was confusing but it gives a flavour of the days to come. French unit diaries even record their soldiers hidden high in trees firing at the enemy, which may be an exaggeration. Some units failed to arrive where they were supposed to be because of failures in the transmission of orders. Others inexplicably spent the morning constructing trenches even though they had not been ordered to and the unit was not even in a status of alert. Expected reinforcements did not come. In early afternoon, the French began a retreat which quickly turned into a messy rout and by 15h00 the Germans were able to secure the col. There were already heavy casualties on both sides. 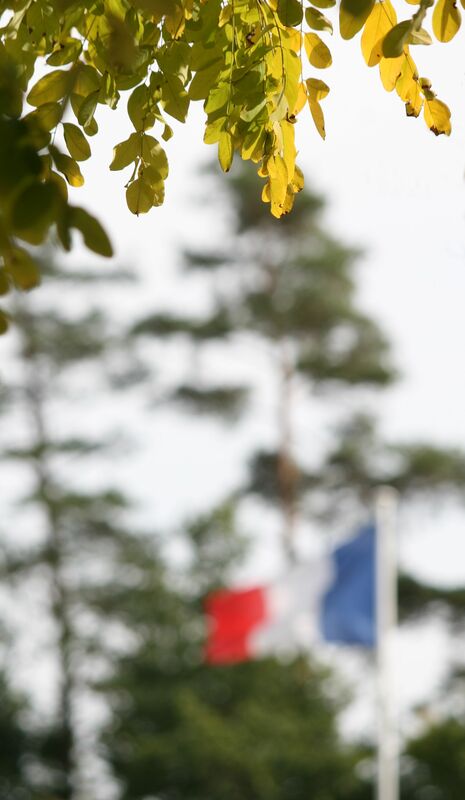 At 16h30 French troops were conscious that an attack was imminent, probably within the hour. They were heavily bombarded and hid in the woods. Panic set in and the frightened, exhausted men fled to the nearest village for shelter. Scornfully, the Germans promptly called them ‘fuyards’ [fugitives]. However, the French rallied and were able to drive the Germans back and hold the col, but at a huge cost of French lives. On 27th, the Germans were determined to regain the Col. They needed to split the French and secure a route through the Vosges from the east to the west. The Col changed hands again and again, with a huge death toll. 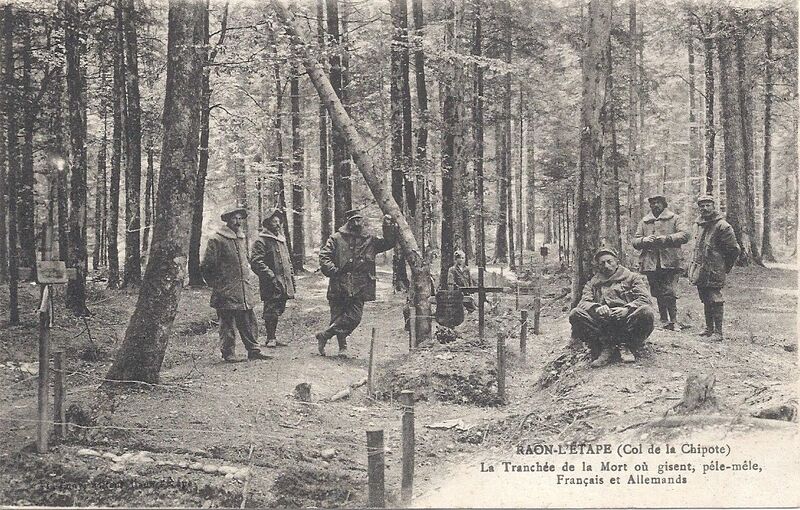 Despite heavy bombardments and repeated attacks over the next few days, neither side managed to secure the col.
Reports claim that this small piece of land was littered with bodies, French men lying next to Germans. 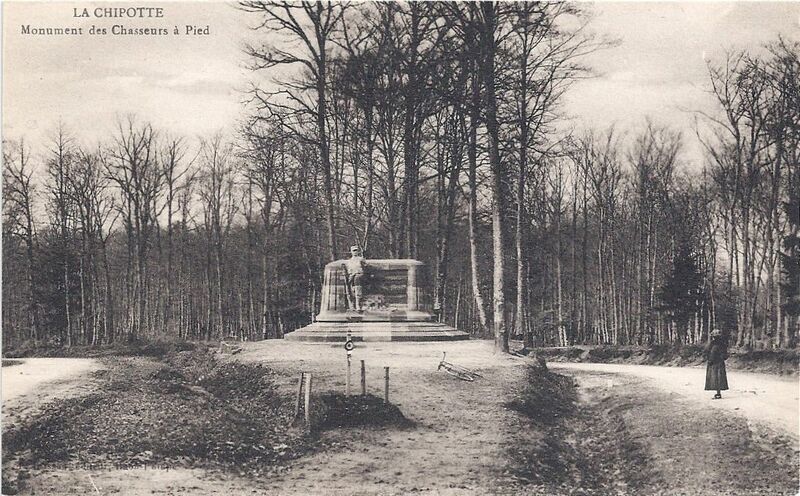 One unit which started on 1st August with 3000 men and 50 officers was reduced to 1050 men and 15 officers within two days of the battle for the col. Capitaine Pasdeloup, 10e BCP, wrote on 3rd September that he was commanding the remains of two companies: 190 fusiliers instead of 500. The commandant was dead, 4 captains [plus other officers] were killed or wounded, but morale was, he said, good. On 30th August, he noted that within eight minutes of an attack on Chipotte his company lost one sergeant major, one sergeant and 41 chasseurs. Another unit diarist recorded that between 31st August and 3rd September, his unit lost 47 killed, 252 wounded and 305 had disappeared (almost certainly dead), with 5 officers killed and 9 wounded. Out of 71 officers, he said, he had 15 left: 79% had been killed or wounded. His troops had started with 4740 men and after those 4 days there were 1905 remaining, which he said represented a loss of 60%. In another ghastly scene, one small French unit was trapped in an isolated location surrounded by putrefying bodies for two and a half days. In the evening of 5th September, German high command ordered its troops to cease all attacks and to prepare to move to another theatre of operations. 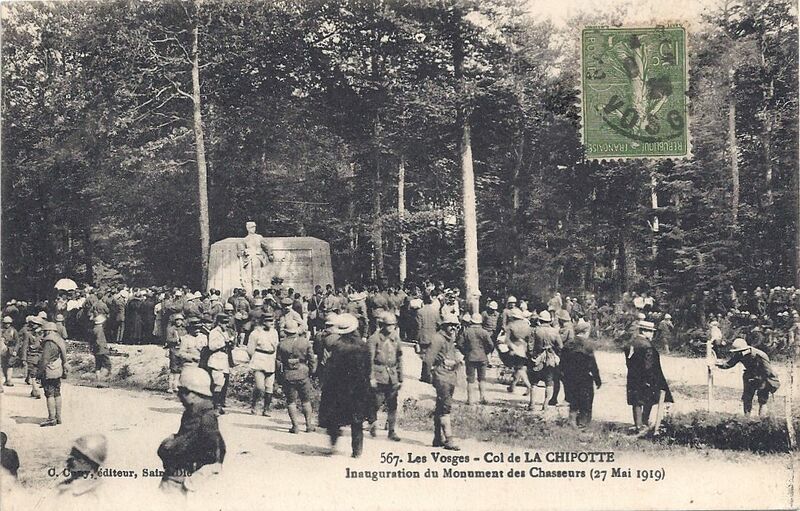 A week later, on the 12th September, French troops reoccupied the Col de la Chipotte and fighting there ended. Current thinking is that the soldiers on both the French and the German sides fought for the Col de la Chipotte with courage, endurance and determination. Many were inexperienced in mountain and forest combat, and the nature of the terrain undoubtedly contributed to the huge losses and injuries on both sides. 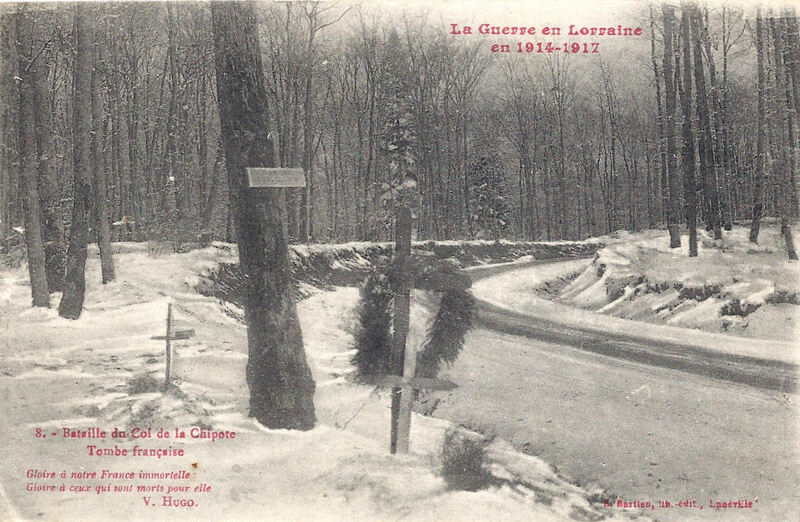 One of my postcards of le Col de la Chipotte sent by a poilu from the Front instructs his wife: “Put the card in your album and save it because at la Col de la Chipotte 19000 men, French and German, fell and they are buried in the same graves.” I think his numbers may be wrong, but his sense of awe and horror is palpable. French and Germans lie dead together. The French dead have their memorials, the Germans have none here. Cimetière Militaire de la Chipotte contains 1899 dead, plus 893 in two ossuaries. Inside the cemetery there are monuments including one to 349 unknown soldiers and a monument erected by local people (I think) to the soldiers killed on the battlefield. By the modern car parking space, there is a monument to the Chasseurs à pied and there is a roadside monument to the Colonial regiments. 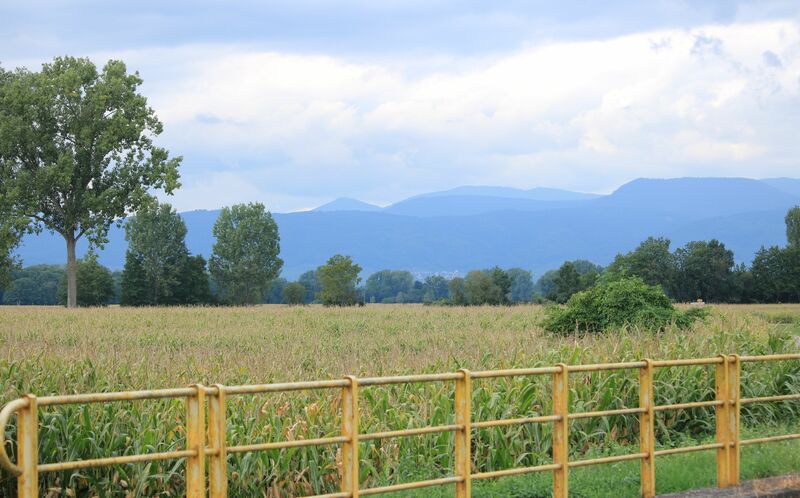 Please make allowances for the fact that I am not a military historian but an enthusiast for the Vosges and their battlefields. I intend that my text should be accessible to non-specialists. I am happy to correct mistakes. All postcards and photographs my own except for the colour photo of the cemetery, which is by Nigel Holbrook. 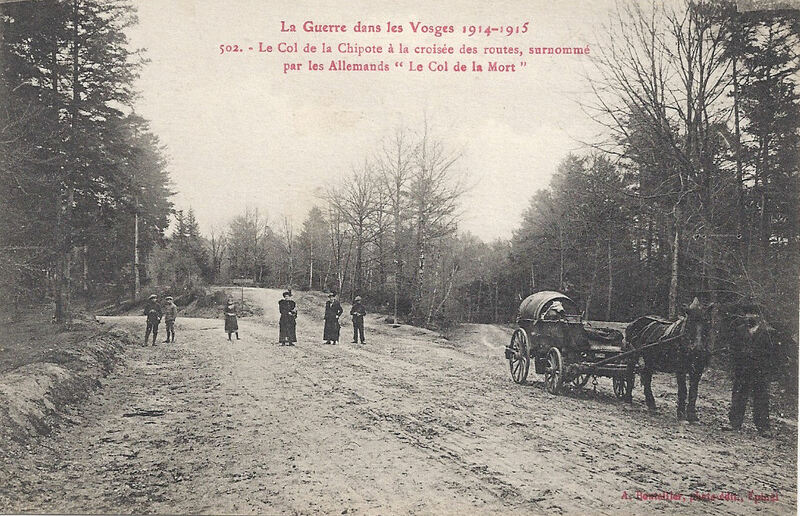 Categories: Alsace at War - 1914-1918, Centenary 1418, The Vosges Cols, Vosges, War in the Vosges - 1914-1918 | Tags: Alsace, Centenary 1418, Col de la Chipotte, cols, Elsass ., First World War, Great War, Vosges | Permalink.